Ankeny, IA; November 13, 2018 – Stahl was awarded the construction management contract for the new Ankeny Elementary School located in the Prairie Trail development. Construction of the $20 million, single story, 101,403-square-foot elementary school will begin March 2019. 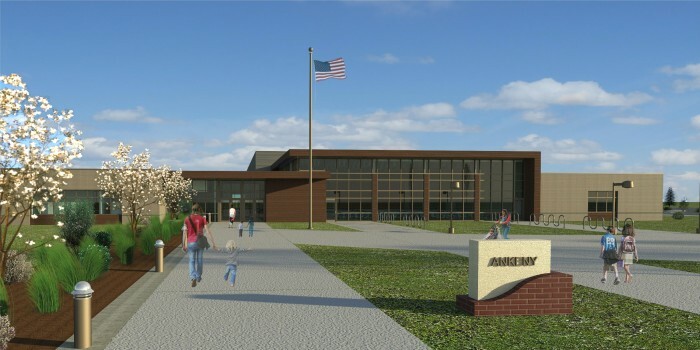 District officials proposed the eleventh elementary school for the Ankeny Community School District due to recent and consistent growth in the area by approximately 400 students per year. The new school will have capacity for 750 students ranging in age from kindergarten through fifth grade. Photo Caption: Rendering courtesy of frk architects + engineers.